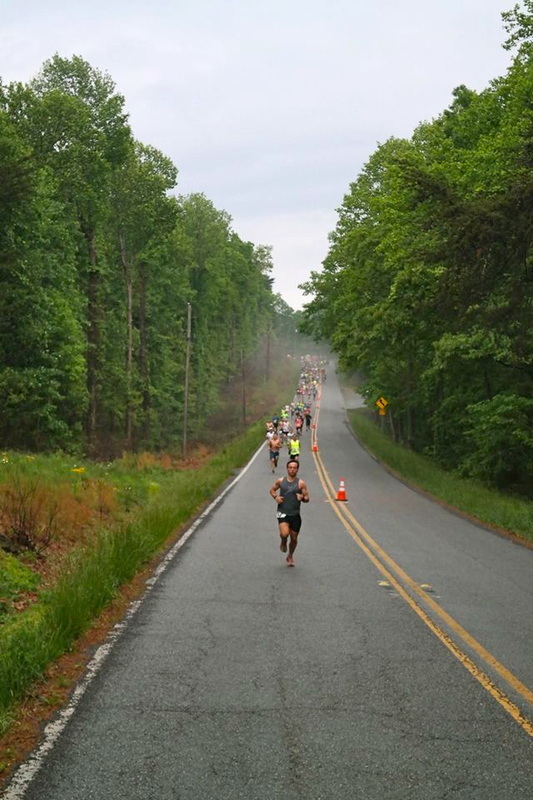 Chatsworth, GA –The Inaugural Tear Drop Half Marathon was won by Master (over 40 years of age) runner. The half marathon won by 44 year old Tommy Jones, of Ellijay in a time of 1 hour, 18 minutes, 25 seconds. Emily Manning, 34, of Jacksonville, FL, was the half marathon female champion, covering the course in a time of 1 hour, 28 minutes, 54 seconds. The 5K champion was 31 year old Jackie Przybylowicz, of Chattanooga, TN in 22:55. 41-year-old Matt Crowder, of Atlanta was the 5K male champion. Rusty Burns, 45, of Fayetteville, GA, won the half marathon male masters division in a time of 1 hour, 20 minutes, 31 seconds and was 3rd place overall. Kristen Mullett, 40, of Jasper, GA, won the half marathon female masters division in a time of 1 hour, 39 minutes, 31 seconds. Over 200 runners finished the half marathon with a majority of the participants coming from the metro-Atlanta area and from 9 different states and the farthest traveled is from Norwalk, CT. The event sold out area hotels and runners also stayed in nearby Dalton and Gilmer County as well. The racecourse started on top of Fort Mountain and westbound GA Hwy 52 was closed to road traffic for over an hour on Sunday morning May 17th. As part of the Georgia Department of Transportation permitting guidelines the use of electronic messaging signs and numerous detour signs were posted to minimize traffic inconveniences resulting from the event for local residents. The event organizer said the chatter from all whom participated and travelled from outside the area enjoyed the event; it’s scenery and the support of the community. The Chatsworth-Eton-Murray County Chamber of Commerce was extremely helpful with it’s support, including providing several volunteers on race morning and providing the necessary connections to make sure the event was locally promoted. Also, the Murray County Commissioners office support was crucial for allowing the race to occur on county roads and the use of county sheriffs. Lastly Chatsworth Police Department Chief Josh Etheridge’s dedication and time spent meeting with race officials was instrumental for the event’s success and lack of incidents. The event organizers are consider hosting a 2nd annual (May 2016) and hope to grow on the success of this years event and increasing the support from the local area will be crucial in it’s growth. The event also benefited a local charity, Helping Hand Food Pantry and raised $605 on their behalf through a portion of the registration fees, payment for volunteer support and by participant donations.